I’m a closet knitter. I tend not to knit in public places, and I don’t knit in front of anyone except my family, my boyfriend, and my very close friends. I haven’t always been this way. 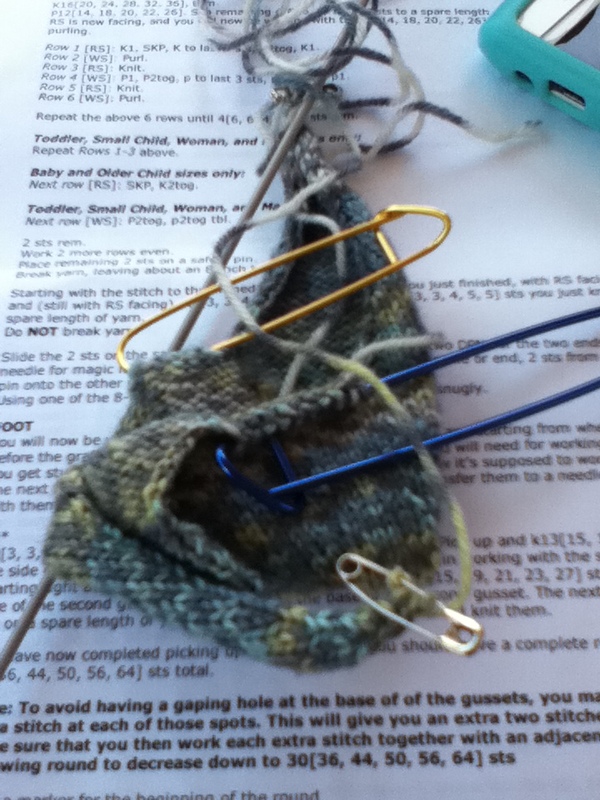 I remember when I was younger, and just starting out, I would bring my knitting with me everywhere I went. I was probably around 10-12 at the time. 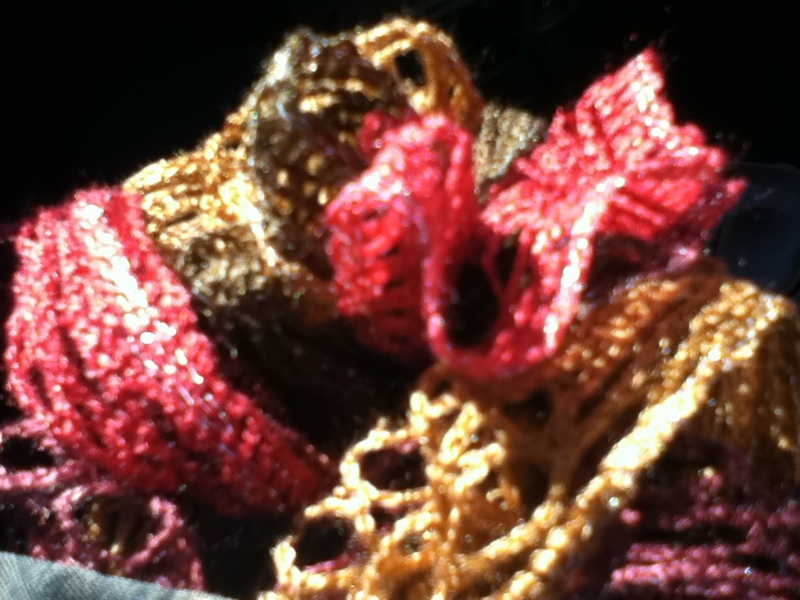 I will never forget someone looking at me a little funny in a waiting room once, then another lady saying “She’s knitting… What is she, a grandma?” And from then on… The knitting stayed in the bag. Then I went to highschool. I had to be very careful about knitting. Anything I made and wore in public had to be extra-cool. I made mittens in grade 11 that were red and white houndstooth pattern (I still wear them regularly) and I remember some of my classmates ooh-ing and ahh-ing over them. 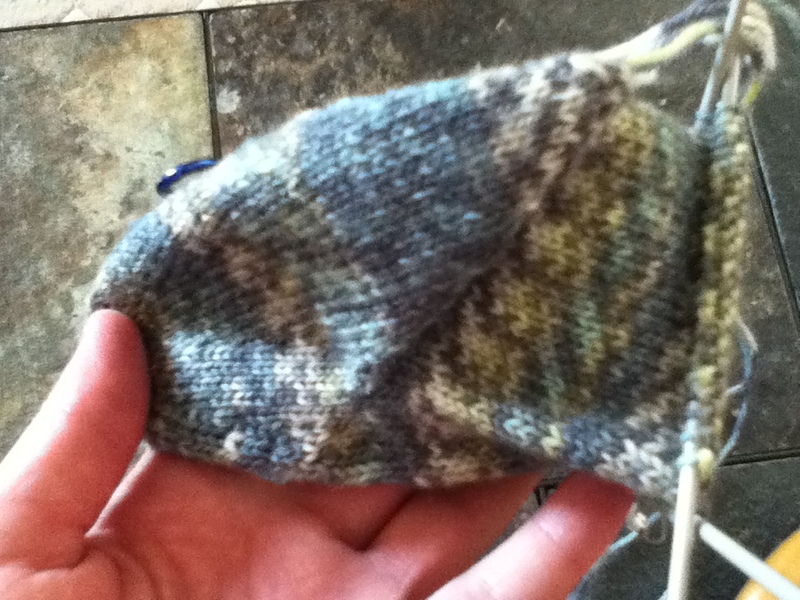 Inevitably, the “where did you get them” question came up… I told them I made the mittens. There were looks of confusion, but in the presence of knitted items that they clearly approved of, they were decently supportive. 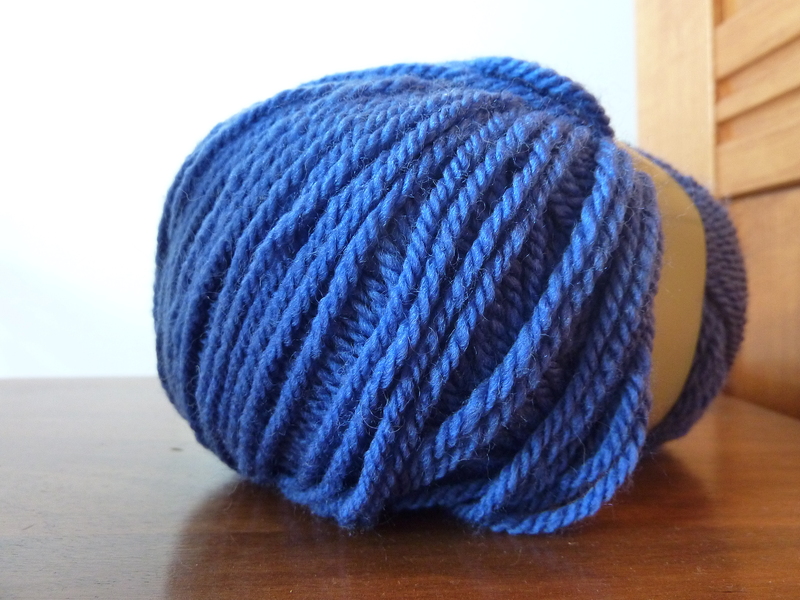 None-the-less, I maintained my knitting in secret status. Since I’ve moved away to University, my perception has changed a little, but I’m still a closet knitter. Am I afraid to show people that I am successful at an age-old craft? That if all of the clothing production in the world shut down one day, I would still be warm? That instead of sitting on the couch and eating a bag of chips every night, I sit on the couch and make socks? I’m more productive than the average human, that’s for sure. And there are millions of knitters in the world. Without knitters, during World War I and World War II, our soldiers’ feet and hands would have frozen solid. (I can’t scientifically back that up, but I’ve always thought the propaganda about knitting for the soldiers and supporting the war effort was pretty cool). I think that if I brought the knitting everywhere I needed to go, I would get a lot more done. How often to I have a weird 10 minute wait for something? Could have been knitting. Lineup at the gym? Could have been knitting. Waiting for a class to start? Could have been knitting. Bus ride home? Could have been knitting. You get the picture. I carted my super-scary-pattern-sock-knitting around with me yesterday, and I have before and after pictures to show just how much work you can get done. After an hour break at work, and a movie last night, part of the foot is complete! See what I mean? Progress, by using all available time, public or no. Clearly, knitting is my obsession. It’s not all I think about, but it definitely occupies a lot of brain space. I think about patterns and I think about yarn. I want to knit all the time. 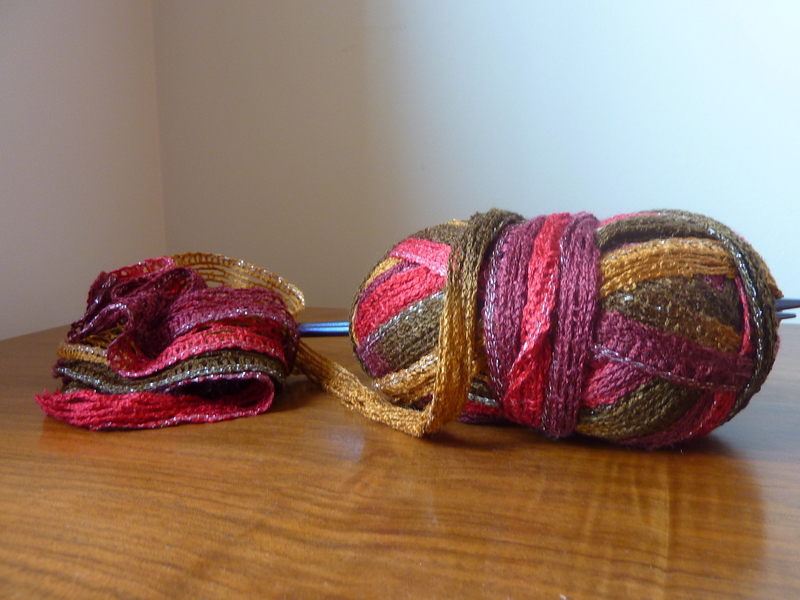 I love to see the progress, and I have a soft spot for self-striping yarns. All of this is true, and I’m a dedicated sock knitter who loves to see progress quickly. That being said, my heart is sending me in another direction lately. I want to make something big. An afghan, a blanket, a sweater, a wrap, even a big scarf! Something other than socks. 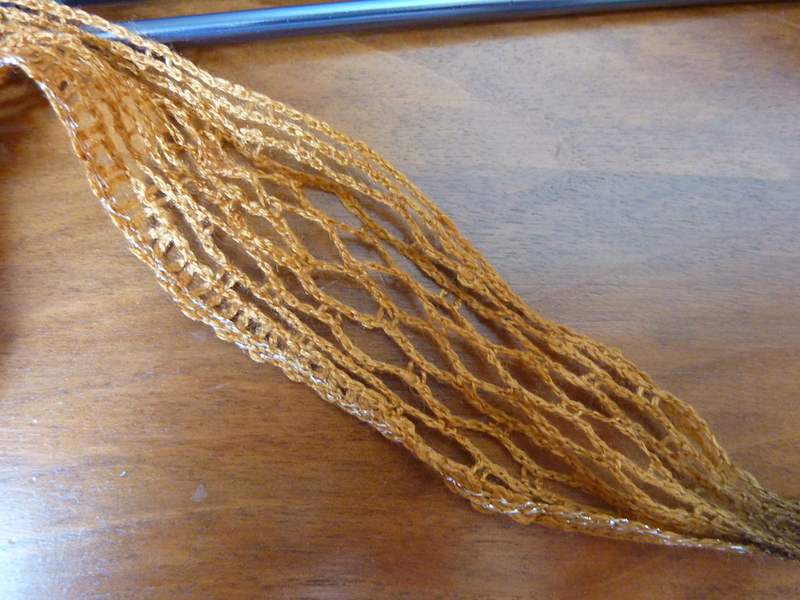 Something that can be knit flat on straight needles (I don’t even know what those are lately). I don’t know what is making me feel this way. I’ve never had this urge before. I’ve never felt the need to do something so vastly different than what I have done before. Don’t get me wrong; I’ve made my fair share of scarves. I made a baby blanket once too. I have never, ever felt the need to knit a sweater though. I know I’ll be heading in to town to my local yarn shop towards the end of the week to grab some yarn for my next pattern. It’s going to be a big one, and I can’t help but feel like it’s a sign. It’s going to be my winter project, and it needs to be a big one, because this is going to be a long winter (what winter in Canada isn’t long?). This sweater is also a sign that putting one stitch in front of another is going to get things done. I don’t know what has gotten into me. I’m stuck between two patterns, and I have half a mind to just go and get the yarn for both. I caught myself dreaming about snow today… Winter fever has definitely set in. We just have to get through a couple of months of cold, drizzly fall first. Who needs spring fever when they’ve got sweater fever? Folks, we have a knit-uation. What is a knit-uation, you may ask? It’s a situation. 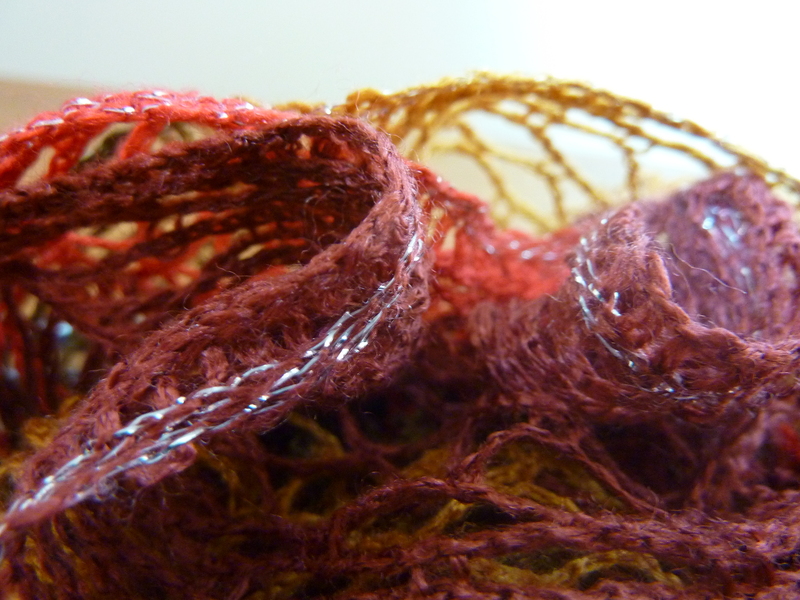 Involving knitting. Or lack thereof. In this case, it’s the latter. It has just occurred to me, after getting up to do chores this morning in 12 degree (Celsius… around 54 Fahrenheit for my American readers) weather, that fall is coming. I’ll be moving back to school in about two weeks. This means that there are four months until Christmas. Now, perhaps you don’t understand the gravity of the situation. I’ll make a list for you. 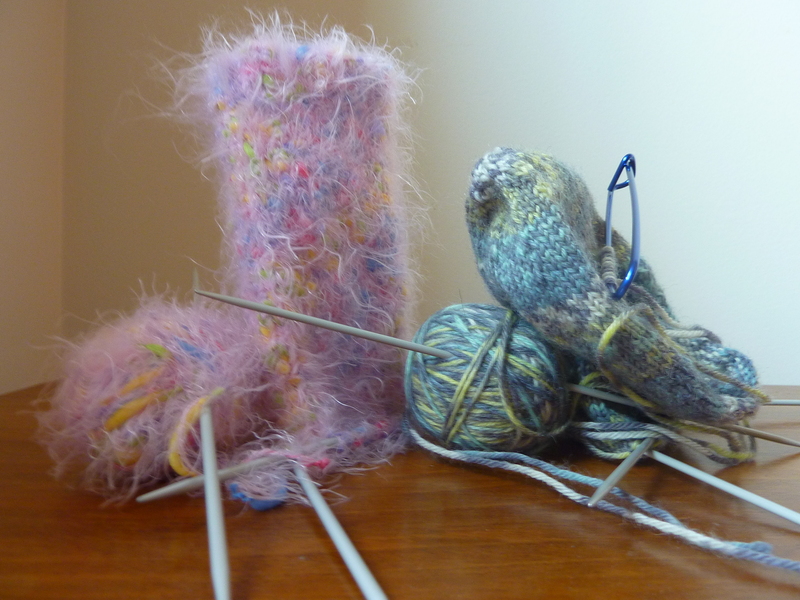 These are the things that are currently in progress, or need knitting, or haven’t even got yarn purchased for them yet… These are the things that must get done. Those are just the things that MUST get done. There are more. Many more. Things that I have been dreaming about, things that I would like to start but haven’t yet got the time or inclination to purchase the yarn. Now. 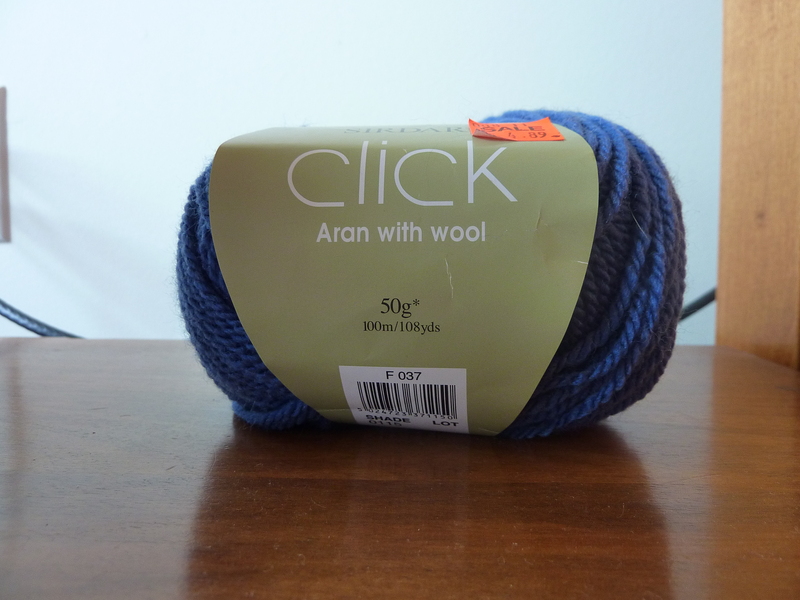 I am a slow knitter. Granted, when I move back to school my time to knit will actually increase, but still, by all accounts, I’m a slow knitter. If it takes me a month to finish one pair of socks, that means I can do four pairs of socks by the time Christmas rolls around. That doesn’t even include what’s currently on the needles. Not to mention I have to get yarn, patterns, needles (and make those needle rolls, damnit). Folks, we have a knit-uation. I’m going in. I’ll keep you posted. Over and out.